PRICED TO SELL!!! 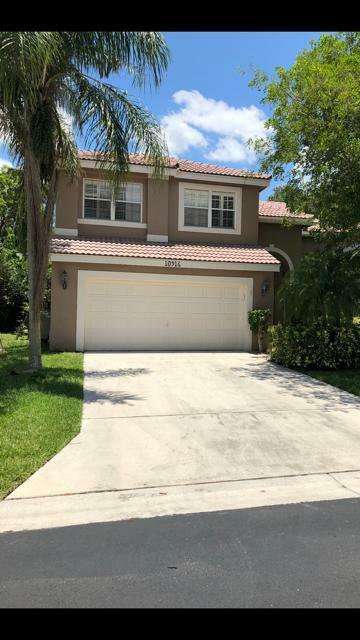 Fabulous opportunity to own this three bedroom home with a pool in desirable Lakes at Boca Raton neighborhood of Symphony. Home has upstairs loft that may be used as playroom, office or made into fourth bedroom. Two sets of french doors lead to pool with large, private flagstone patio area. Beautiful cherrywood floors on stairs and entire second floor. New stove, washer and dryer. Plantation shutters throughout home. Lakes at Boca Raton offers community pool, hot tub, tennis, basketball, fitness room. A rated schools and great shopping. Walking distance to Burt Aaronson Park with sports fields, water parks, dog park, walking trails and an amphitheater.